In the last 200 years, crops and improved pastures have replaced much of the native Australian landscape. While this transformation has been good for the agricultural and pastoral industry, there is a growing realization that a productive landscape also needs to be a diverse landscape. Greening Australia is an environmental organization with state chapters across Australia working to strategically restore the natural vegetation of the country. To pursue this work, Greening Australia Victoria has partnered with the Victorian Department of Sustainability and Environment and the Alcoa Foundation to investigate the potential benefits of using biochar to help propagate currently difficult-to-germinate Australian native plant species. The project set up greenhouse trials with different percentages of biochar comparing those germination and growth results to smoke water treatments and standard practice growing media. The plants examined consisted of a number of regional species including eucalypts and small shrubs such as tea-tree. Greening Australia hopes that the results generated from this investigation will lead to the ability to deliver much improved re-vegetation outcomes in the field. Two nurseries in Victoria have run parallel trials to monitor germination responses and ongoing seedling root development to determine if biochar is a beneficial additive. 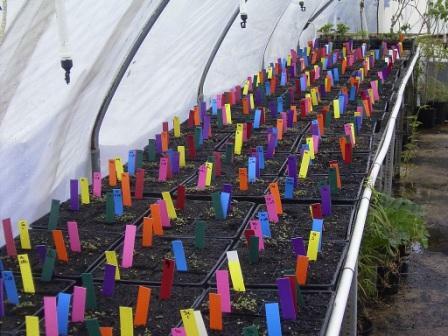 Staff at one of the nurseries involved in the trial had previously observed improved native seed germination responses after adding biochar to growing media, hence the broader trial being conducted. How much native vegetation will need to be put back into the landscape, and in what configuration, to ensure that ecosystems and the species they contain will persist into the future. Growth rates, biomass yields and energy produced from plantings to inform future land use decisions across western Victoria. 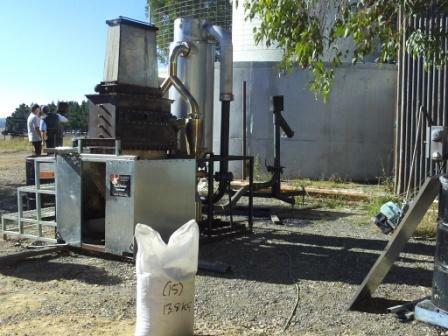 The project is also looking at the quality of the biochar produced from these plants after processing by a modern bioenergy system owned and operated by Canberra-based Real Power Systems. Through a series of field trials they are studying the effect that this biochar has on re-vegetated species as a soil amendment at various percentage levels. Real Power systems donated their ‘high fixed carbon biochar’ for the Nursery Propagation Trial and was also contracted to produce syngas and biochar (for subsequent independent analysis). Landholders’ attitudes towards these projects across the western Victorian region will be sought concerning the integration of some of these opportunities into their farms to create more resilient agricultural landscapes. 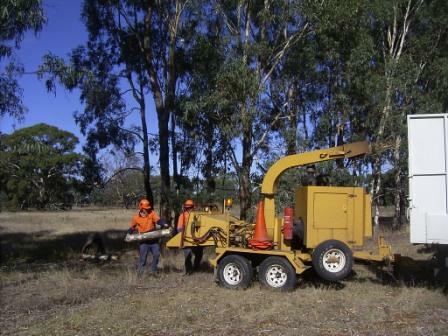 For more information on this work, please see: http://www.greeningaustralia.org.au/index.php?nodeId=228 or contact: David Warne or Doug Phillips. 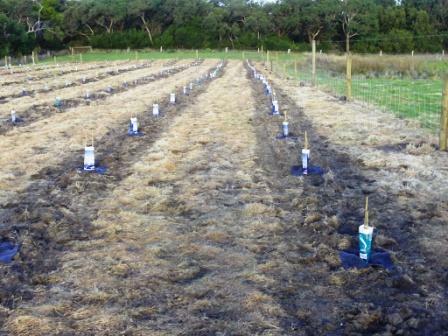 Biochar Field Trial Site; all photos courtesy of Greening Australia.